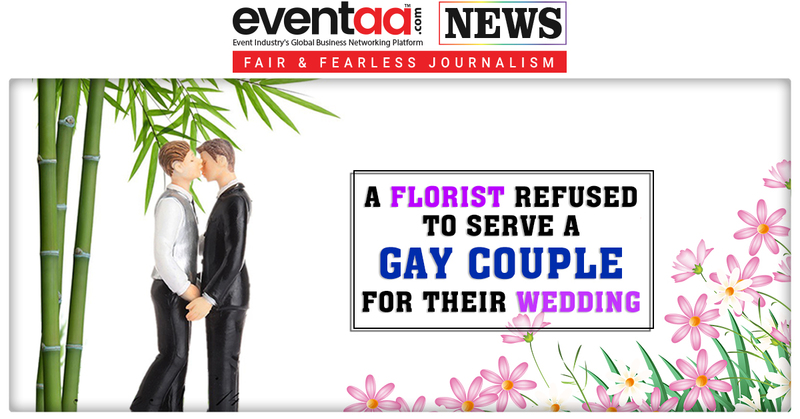 At Avon, Indiana, US, a florist refused to serve a gay couple for their wedding. The incident took place last week. The gay couple alleged that an Indiana florist denied them service. With their wedding less than a month away, the couple was busy making sure everything is properly arranged. However, David Elliot ran into some trouble as he stopped at a florist shop, called Avon florist. According to David, first the shop owner agreed to help with the wedding, but then her tune changed when she found out it was two men getting married. David said, “I took that to mean because of my relationship, she couldn't help me out.” David took to social media to talk about his experience. WRTV went to the floral shop to get both sides of the story, but the shop says they will not be making any statements. It is not the first time, that service providers refused service at the Gay wedding. This has happened before also. Some small businesses in Indiana have made national headlines over the last three years for their refusal to serve members of the LGBT community, including bakeries and pizzerias. Many of the owners feel they're protected by Indiana's controversial Religious Freedom Restoration Act, which was later amended to clarify it is not to be used to discriminate against the LGBT community.